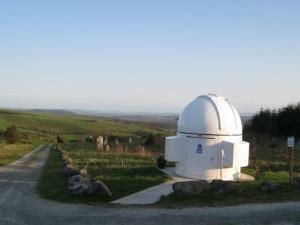 The Spaceguard Centre01547 520247work Museum - ScienceThe Spaceguard Centre is a working observatory, and the main source of information about near Earth objects in the UK. 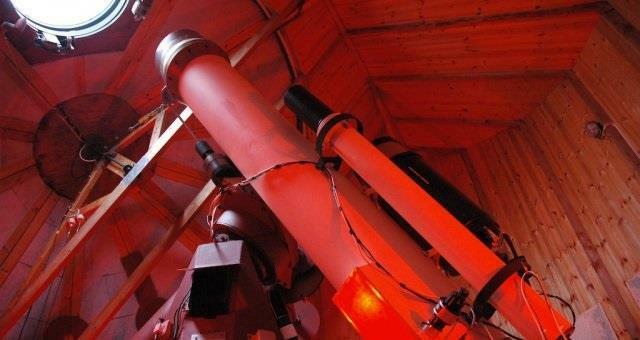 Sited at the top of a hill, the Spaceguard Centre observatory is located near Knighton in mid-Wales with outstanding panoramas in all directions, and a clear 360 degree horizon. The Spaceguard Centre Director Jonathan R Tate was a serving Army Officer for 26 years, specialising in surface to air missile systems. In January 1997 Tate established Spaceguard UK, which is now the largest independent Spaceguard organisation in the world. Thanks to the efforts of the members, the subject of Spaceguard has been publicly debated in both Houses of Parliament, and Tate has been a regular contributor on television and radio, also in professional and popular journals. Tate and other members of Spaceguard UK advised the government Task Force on NEOs. The Spaceguard Centre is open Wednesday to Sunday each week and guided Tours start at 10:30 (1 May to 30 September only), 14:00 and 16:00 each day. The tour lasts for about an hour and a half, depending on how many questions are raised! Day or evening group tours can be booked for any time during the year. Daytime tours last for about an hour and a half, while evening tours can last longer if the sky is clear. The Spaceguard Centre does not offer morning tours (10:30) during the winter (1 Oct to 1 May) and please note that the Centre is not suitable for very young children. The Spaceguard Centre is open Wednesday to Sunday each week and guided Tours start at 10:30 (1 May to 30 September only), 14:00 and 16:00 each day. Signed from the A4113 through Knighton.